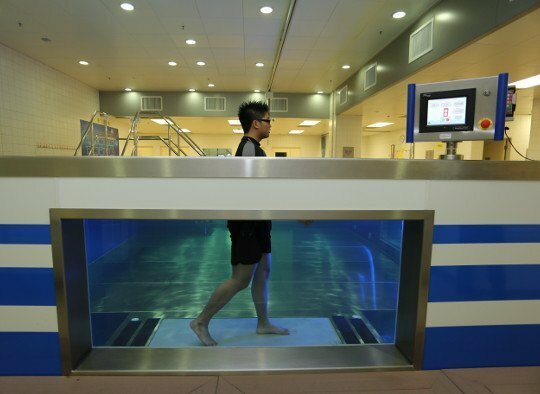 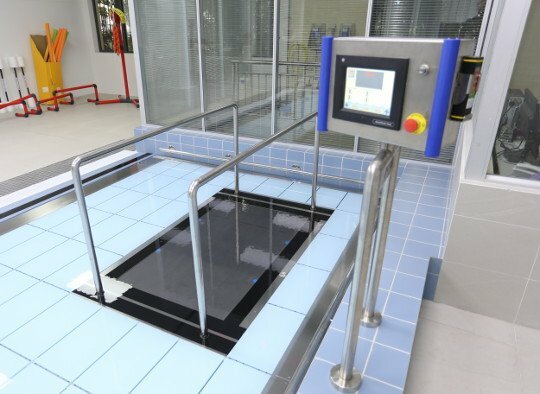 The integrated underwater treadmill is completely integrated in the movable swimming pool floor. 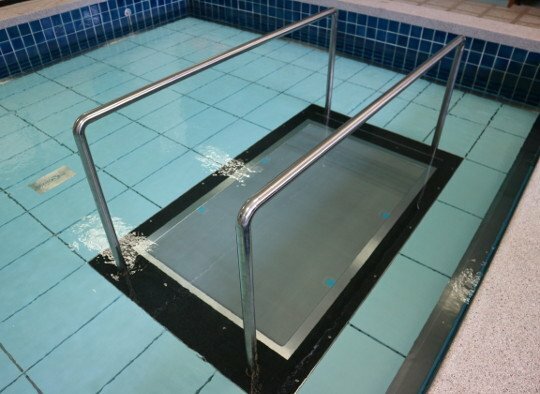 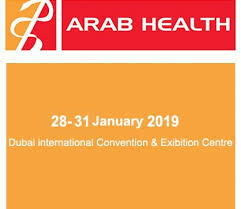 Lowering the movable swimming pool floor results in reduction of weight bearing for the patient. 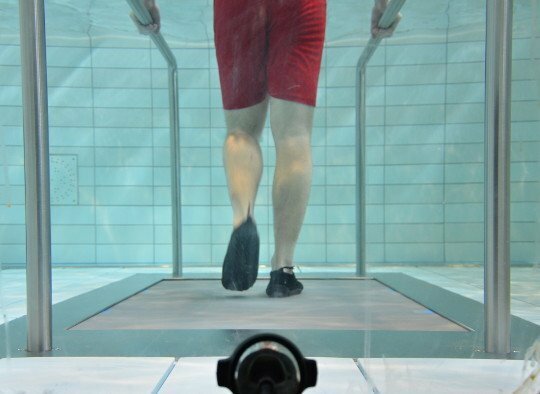 Therefore this excellent combination results in an exercise environment for patients in any stage of rehabilitation, ranging from young children to adults. 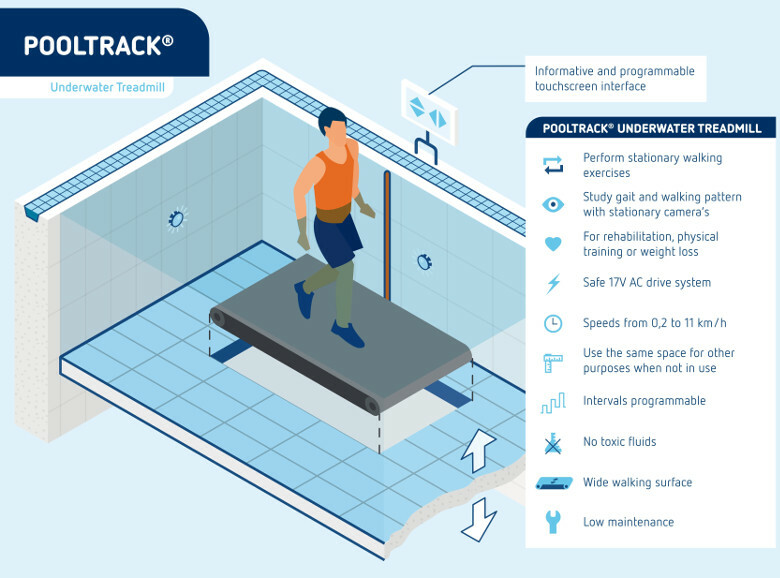 The unique combination of a movable swimming pool floor and underwater treadmill results in a superior multi-role low impact exercise environment. 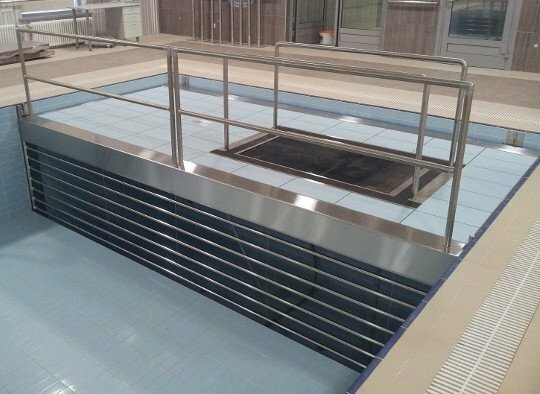 When the treadmill is not used, the parallel bars can be removed and the entire area of the exercise pool can be used for other underwater exercises.